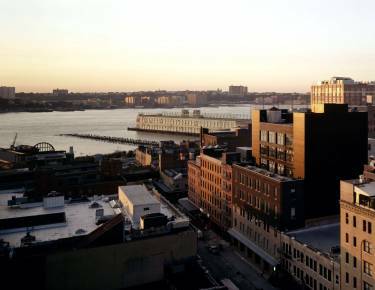 The refurbishment of an existing warehouse with the addition of five new stories created a landmark development in Manhattan’s rapidly changing historic Meatpacking District. 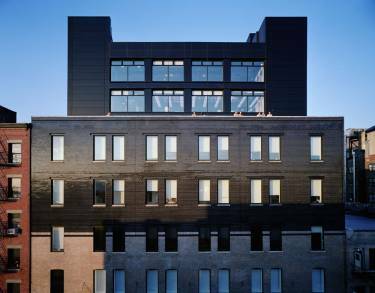 The project provides 77,000 sf of flexible open plan floor space that integrates with the streetscape and retains the characteristics of the original façade. 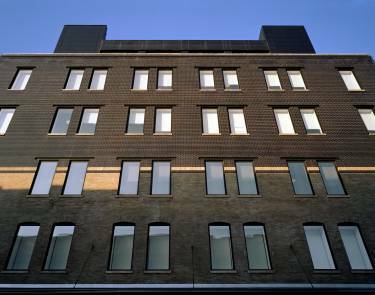 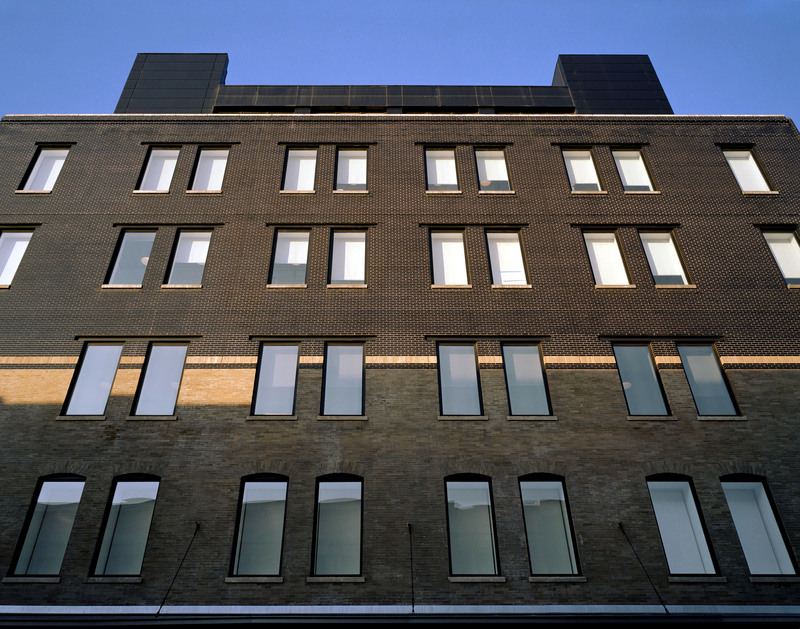 The two new stories that are visible from the street level reflect the existing fenestration openings, with new construction indicated by a change to black glazed brickwork. 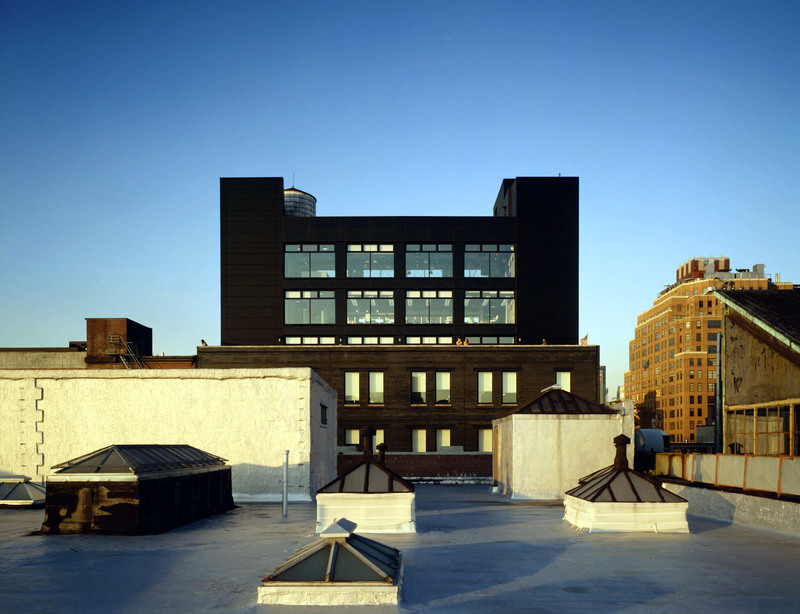 The higher stories, above the level of adjacent rooflines, offer larger windows to maximize both light and views, and are set back from the street level to shelter the more contemporary façade and create private external spaces. 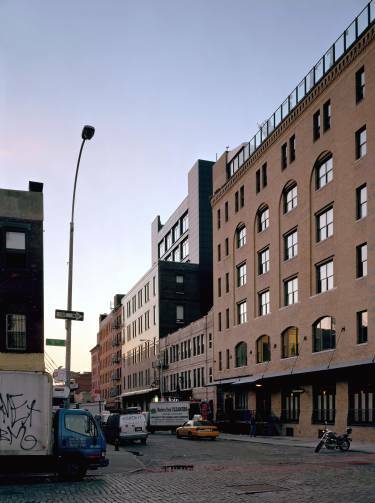 The building is occupied by mixed-use tenants.